Beyond providing data for all 32 NFL teams, PFF also supports network broadcasters with game-preview packets that are used to enhance the in-game experience for fans and viewers. 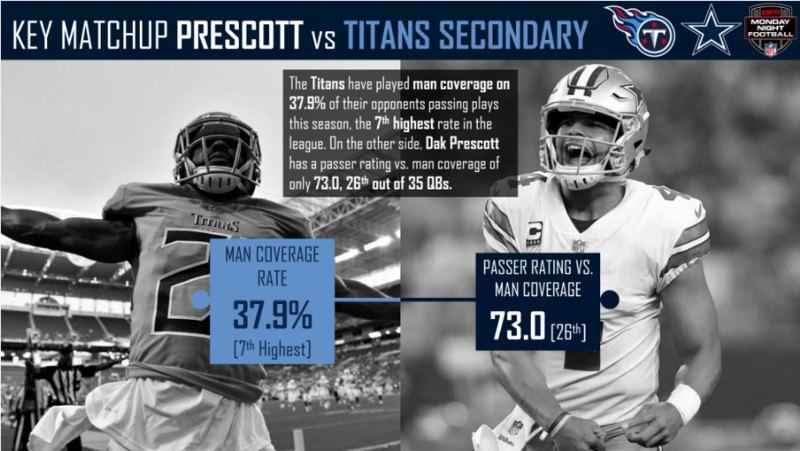 This Titans-Cowboys preview features the same information our broadcast partners use for team research and in-game production. 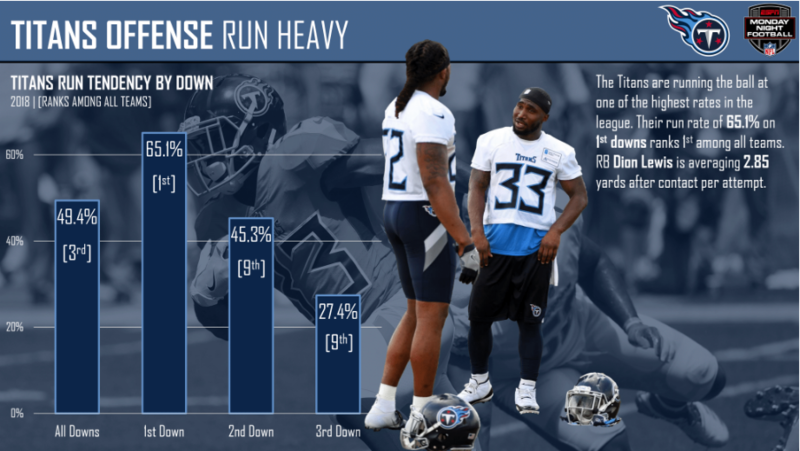 The Titans run 65.1% of the time on first-downs, which is the highest rate in the league. 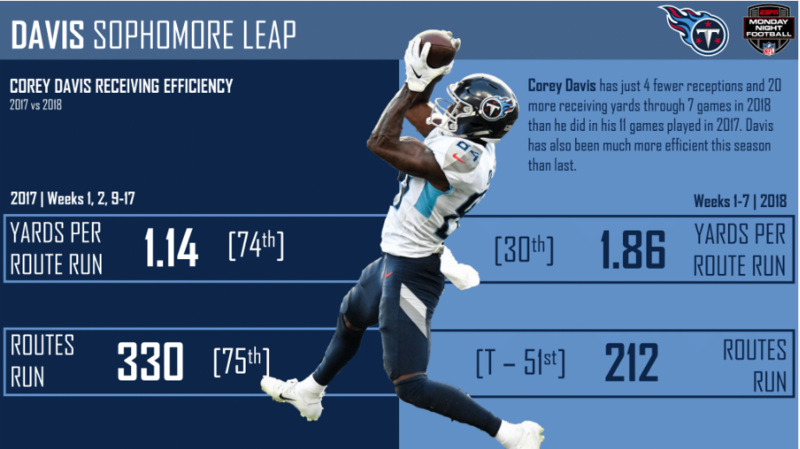 Second-year receiver Corey Davis has made immense strides in his second year. 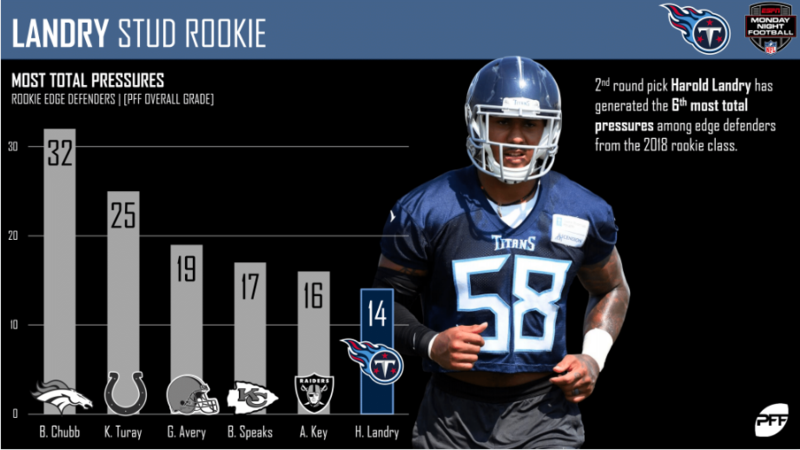 Titans’ first-round edge defender Harold Landry has got off to a red-hot start this season. 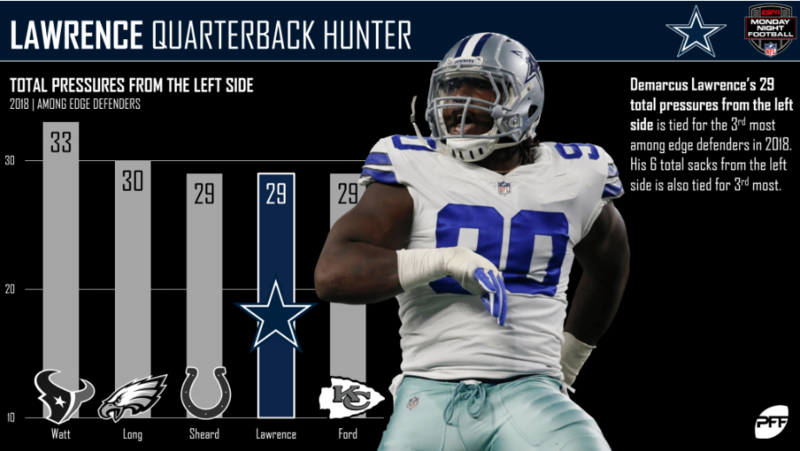 He ranks sixth among rookie edge defenders in total pressures, but he has a tough matchup against a talented Dallas offensive line this week. 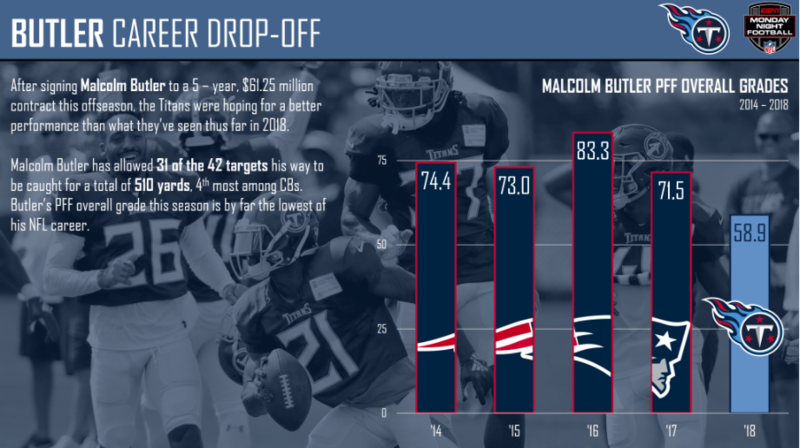 Malcolm Butler has allowed the fourth-most yards among all cornerbacks this year and has only played seven games. 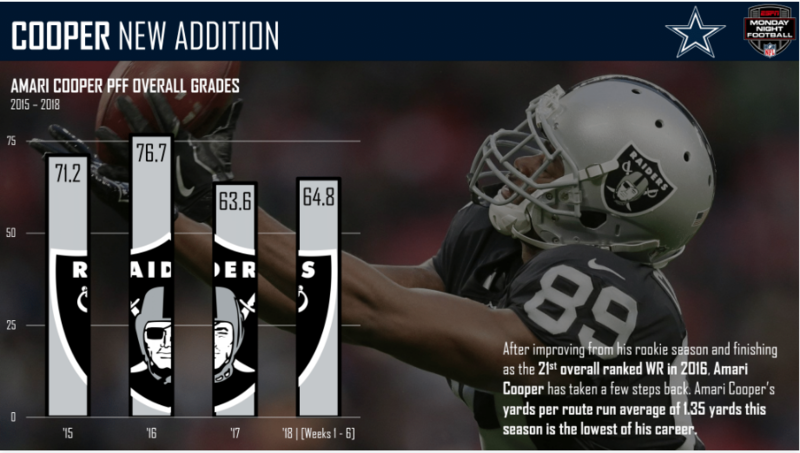 Amari Cooper will look to revitalize his career following his move to the Dallas Cowboys. 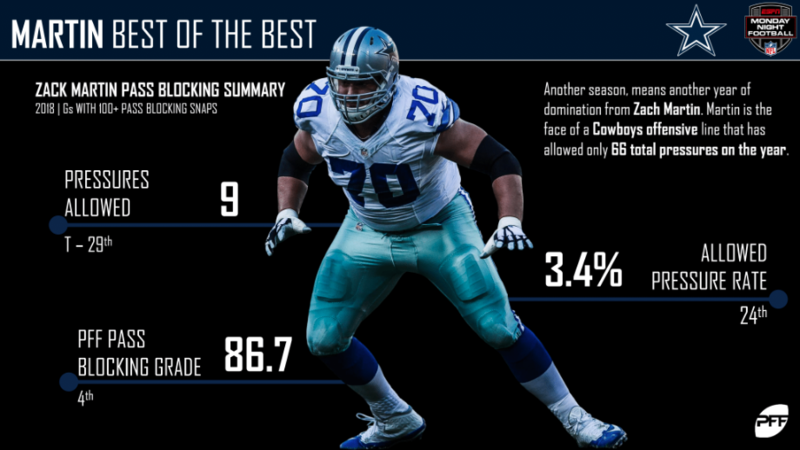 Zack Martin has been a bright spot along the Dallas offensive line. His 86.7 pass-block grade ranks fourth among all NFL offensive guards. Lawrence’s 29 total quarterback pressures from the left side are tied for the third-most among edge defenders in 2018. He’ll look to add to his total on Monday night. 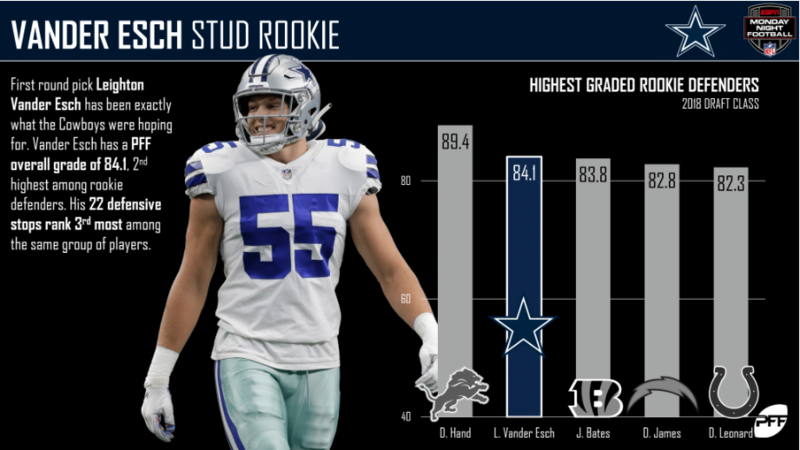 Boise State alumnus Leighton Vander Esch has quickly put himself in the Defensive Rookie of the Year conversation with his second-ranked 84.1 defense grade.